For a general review on car rental insurance click here. When renting a car using your Amex card, you are automatically covered for Collision Insurance. This means that if the rental car gets damaged or stolen, you won’t have to pay a penny. You should decline any collision insurance that the rental company offers you, e.g. CDW (Collision Damage Waiver) or LDW (Loss and Damage Waiver). Included free when renting using an Amex card. Insures vehicles rented for 30 days or less. This coverage is secondary to any other insurance you might have. If you already have collision insurance on a car you own, the rental company will first try to collect money from your insurance. If they still want more money, they will collect from Amex. If something happens to the rental car, your premium may go up (for the car you own). Insures vehicles valued up to $75,000. Insures vehicles rented for 42 days or less. No coverage for U-haul trucks, Motorcycles and RV’s. Click here to read about the other things this insurance covers. E.g. items in the rental car that were damaged, medical expenses etc. In each of the following situations, you will be better off with Amex than with other cards. 1) The car rental company forces you to take collision insurance, with a deductible. This often happens in many countries. Amex: Amex will pay the deductible (approx $1000). Other credit cards: You must totally decline the insurance no matter what! If you have partial insurance with a deductible, they WILL NOT cover the deductible! Note: In Israel, you will need to use a MasterCard. Make sure that the rental agreement clearly states that all collision insurance was declined. Once, when I rented a car in England, they told me that if I take off the Collision insurance, my rental rate will skyrocket! (The internet rate automatically included collision.) Luckily I was using my Amex - as I usually do. 2) You want to rent a car for a few weeks. Amex: Covers 30 day rentals! Premium car rental protection is 42 days! Other Cards: Most other cards only cover rentals up to 15 days. When you are out of your home country some cards do offer 30 days. 3) You get in to a accident. Other cards: They can make you run after the car rental agency for paperwork. 1) No credit card covers liability insurance. 2) Amex does not cover cars in Australia, Ireland, Israel, Italy, Jamaica and New Zealand. 3) Amex Business credit cards only cover in the US. 4) If you are using Hotwire or Priceline to rent a car, make sure to use your Amex when paying them. Use your Amex again at the rental counter. If you don’t have an Amex card, you are missing out! Click here for recommended Amex cards. Disclaimer: Although every effort has been made to ensure accuracy, no responsibility is taken for errors. Click here to see what your specific Amex card covers. EXPIRED: Garmin Nüvi 660 - GPS Navigator $349.99 - Free Shipping! Amazon.com has the Garmin Nuvi 660 4.3-Inch Widescreen Bluetooth Portable GPS Navigator for $349.99 - Free Shipping. If you are in the market for one of these, this is a great price! Grab one before it sells out. United Mileage Plus Visa is now running a promotion where you get double miles on all purchases till February 29. This seems to be a targeted promotion, so call them to see if you are eligible. 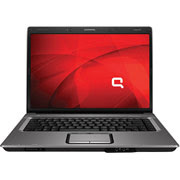 EXPIRED: Compaq Presario F750US Notebook And Printer - $399 - Free Shipping! Staples.com has the Compaq Presario F750US and HP DeskJet D1455 Inkjet Printer for $399.96 after easy rebate with free shipping! Printer: $69.98 - $70 easy rebate = -$0.02. Note: If you are paying tax, total will be higher. You must book at least 2 nights by January 31, 2008 and stay by April 30, 2008. I didn't find Hotels.com to have great rates, but sometimes they do. Make sure the seller has a good rating – as close to 100% as possible (at least 99%). A 90% positive rating is not good enough! Many people are scared to leave negative ratings because the other person will then leave negative ratings on their name. Check the total cost, including shipping. There may be a shipping charge even for emailed gift cards / coupons. Search completed auctions to see the 'going rate'. Click on Advanced Search and place a check by completed listings only. This way, you will have an idea of how much to bid. Even better: Instead of bidding directly on eBay, go to a site like auctionstealer.com. They will place your bid for you 10 seconds before the end of the auction. The free version allows you 15 bids a month. The only problem with this is that you won't get cashback. Read the review about buying gift cards on eBay. 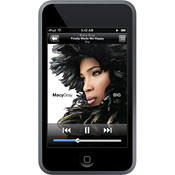 EXPIRED: IPod 8GB Touch $239.00 - Free Shipping! B&H has the 8GB iPod Touch for $239.00 - Free shipping. If you are looking for one, this is a great price! They charge tax on items shipped to NY. UPDATE: The 128MB NVIDIA GeForce 8400M GS is not included anymore, it now costs an additional $99. 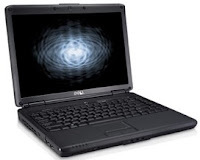 Dell Small Business has the Dell Vostro 1400 Laptop for $549 with free shipping. Nice price for a decent laptop. Review: Shopping Tips - Buy Gift Cards - Must Read! Before you shop anywhere, read this! Next time you want to purchase something, either online or in-store, check eBay to see if anyone is selling a gift card to that store. They often sell for 10% -20% less than the gift card amount. So, if you are looking to spend $25 at a store, you might find a $25 gift card on eBay for $20 or a $100 gift card for $80. Prices are so low because many people get gift cards as presents and want to get rid of them. I do this myself all the time and it works like a charm. Note: If you want the item to be covered by your Amex (e.g. Buyers Assurance) then you should buy the item directly on your Amex credit card. If you buy a gift card and then use the gift card for the purchase, you won't be covered. EXPIRED: Hot! 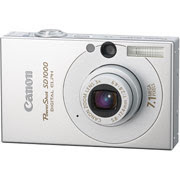 Canon SD1000 On Sale! Update: Out of stock in many areas. Staples has the SD1000 on sale for $149 - free shipping. Get a $30 off $150 on eBay. You will need to add on another item (e.g. these pens) to use the 30 off 150 coupon. You will only see the discounts at checkout. Please post a comment when used. If you go to a Staples store you can use this 12% off coupon (not only for this camera). I don't know if you can use it together with any other coupon. Note: This camera is not as good as the SD700 and SD800 series but its much cheaper. Save $20 on Amazon when you spend $49 or more on cereal! Some great prices if you are willing to stock up on cereal. Bonus: Get a coupon for a free Shutterfly photo book! Lowe's has these 13-Watt mini compact fluorescent light bulbs for $0.98 each. Enter your zip code to see this price. Pick up in store to save on shipping. They dont seem to be the greatest of bulbs, but its good if you are looking for cheap bulbs. Which insurance do I need when renting cars? There are two main types of insurance you need when renting a car. Remember, if you own a car, chances are that you are covered when renting a car as well, check with your insurance provider. This insurance will cover the rental car itself if it gets damaged or stolen. Most car rental companies have different levels of insurance. Depending on which one you get, you will have to pay a certain deductible, $500 or so. The most expensive level of insurance usually does not have any deductible. Your credit card may already include this insurance. Call your card company to find out. American Express credit cards automatically include this Insurance at no extra cost. Read the review on Amex car rental insurance. No credit cards cover this insurance! Don't find this out the hard way! This insurance is if you damage another car or a person and they want money from you. This is the insurance that every car you own must have. Some states, e.g. New York, the rental car company automatically gives you this insurance for no extra fee. They give you the minimum insurance, around $25,000. If the damage is more than that, then you may be sued for the rest of the money. To be on the safe side, (especially if you have assets to protect) you may want to purchase extra insurance which the car rental company offers - usually a $1,000,000 of coverage. Other states, e.g. Florida, The rental car company does not include this insurance automatically. So if you want insurance, which you do, you need to purchase it from the car rental company. Rates vary at different companies and states e.g. In Florida: Enterprise $15 a day, Hertz $12 a day. for $1,000,000 of coverage. If you rent often, and don't own a car, you should consider buying insurance from AAA which will cover your liability insurance whenever you rent a car. These insurances aren't as important as the main two. Personal Accident Insurance: Insures people in the rental car - People should already have health insurance. Personal Effects Coverage: Insures damaged / stolen items in the car. - It's nice to have this extra insurance, but I don't think it's usually worth it. Note: Amex business credit cards only cover collision in the U.S.
Read the review on cheap car rentals. Disclaimer: Although every effort was made to ensure accuracy, please check with your card/auto rental company. EXPIRED: Syms Is Having A Bash! Syms, a clothing store, which stocks quality products at great prices, is now having their semi annual bash! The bash will last until Jan 21st. All prices are slashed down about 30%! Check out their site for more info and for store locations. If you have a Syms card, you get an additional 5% off. They have a nice selection of menswear and womenswear. They also have beautiful children's outfits for crazy cheap - between $5-$15. How to get a cheap car rental! Next time you want to rent a car, check Hotwire and Priceline. Priceline is often 15-20% less then Hotwire's prepaid rate. Sometimes though Hotwire is cheaper, so check both. They even have great prices on rental cars in NY, which is usually an expensive city for car rentals. I found cars for as low as $18.00 a day at JFK. And in Orlando I've rented for as low as $6.95 a day! If you need a car for a few days, make sure to check the prices for a full week, as sometimes a weekly rate could come out cheaper than 5-6 days! Hotwire Discount Rates: Hotwire tells you a price. You only see which company you are getting after you pay. It’s not risky though, as Hotwire and Priceline only work with major companies, like Avis, Hertz, National, Budget and Enterprise. So you won’t end up with a car from an unknown company. To be sure you are getting the cheapest price, go to priceline.com and try to name your own price. Make it 15% lower than Hotwire's price and see if it gets accepted. Make sure the total price is lower, not just the actual daily rate. Regular Hotwire Rates: (You will usually get this rate when Hotwire doesnt have a prepaid rate for that car/day) Hotwire will tell you which companies have which rates; you reserve and pay when you pick up the car. A similar site is carrentals.com. When Hotwire offers you such a rate, chances are even higher that you will get a better rate bidding on Priceline.com. One way rentals: Hotwire does not have one-way rentals. Try Priceline. With Car rental there is a glitch on Priceline. It lets you keep on changing back and forth between two locations however many times you want. So, say you want to rent a car in JFK, you start out with $8. If it gets declined, switch to LGA and bid $1, which definitely gets declined, then go back to JFK and enter $9… and so on and so forth. It seems to work sporadically, so don't rely on this glitch to work all the time. Another site to check is simplywheelz.com. They are a subdivision of Hertz, and have good prices, though only in very few locations. EXPIRED: Run! Lamps and Vases $2.22 - Free Shipping! Amazon.com has these Lamps and Vases for $2.22 - Free Shipping! Orders will probably get canceled, but hey, you never know. Also great if you want to buy other things at Amazon.com and need to add more items to reach $25 to get free shipping. Even if they cancel your order of lamps or vases, you will still get free shipping on the other items. Staples.com has the Canon S5 for $299.99. The canon S5 is a great camera, I just bought one and love it. Quick Picks: Daily personalized sale. Amazon bases these sale items on your search and buying history. I have found some good deals for myself from this! How to find your Quick Picks: Sign in, click on today’s deals (top of the page – near the gold box). Scroll to the bottom of the page, where you will see special deals just for you. Warehouse Deals: Amazon sells refurbished items at extremely low prices! Sometimes the item is really brand new, just in an open box. Read the product description for each item. Amazon Prime: Free 1 month trial to Amazon Prime. Amazon Prime offers free 2 day shipping or $3.99 overnight shipping on all products sold direct from Amazon.com -without the $25 minimum order. If you don't cancel after 1 month, it costs $79/year. Great prices! From expensive electronics to diapers, Amazon has great prices. No tax! - Update: As of June 2008, Amazon Amazon started charging sales tax on all taxable orders shipped to NY. Free shipping! On orders more than $25. Great return policy on any purchase. Free return shipping. If item is defective, or if the item you received does not match the online description. Amazing customer service! 24/7 phone support. I found that they are quite helpful, especially compared to other online merchants. Price adjustment: if price goes down within 30 days, send Amazon an email and they will refund the difference! (Eliminates the feeling of “I should have waited…”). Add items you have recently bought to your Wishlist. Then you can easily see if the item goes down in price. Practically speaking, even if the price drops way past 30 days, you have pretty good chances of getting refunded from Amazon as well, though then you would want to speak with Amazon on the phone instead (have Amazon call you). Update: As of September 2008, Amazon no longer refunds the difference within 30 days. The above points only apply to items sold directly from Amazon – not 3rd party sellers. Definitely check other sites to compare prices. I usually find Amazon.com to be among the cheapest places. Here is a list of the best Amex Cards. All the Amex cards shown on this page come with all the benefits and security features that Amex is famous for. (Read this article to see all the benefits that come with Amex cards). The main difference between all the following cards is the rewards benefits. Look at the pointers for each card, and see which rewards program will benefit you the most. Whatever you decide, make sure you have at least one Amex card! 1) Points/mileage cards: Get miles/points for all your purchases. Great for those who want to collect miles/points, and for those who like churning cards – and getting signup bonuses. All these miles/points cards have an annual fee but are free the first year. 2) No annual fee - Cash-back cards: Get cash back on all your purchases. Great for those not interested in collecting miles/points. There is no annual fee for these cards. Note: If you are interested in a no-annual-fee card, then you can still sign up for a card with a signup bonus (Delta or Starwood) and then after a few months, call Amex and change over to the Clear Card. If you are getting only one Amex card, then get a personal card. Personal cards help your credit. I would also be a bit uncomfortable if my only card from Amex was a business one, and I used it for personal purchases. Personal - 10,000 Points Signup Bonus - Up To 25,000! - Hotel nights start at just 2,000 points! - Points equal miles in over 30 airlines! - Transfer 20,000 Starwood points into 25,000 miles in many airlines! - Low annual fee - $45/year. Excellent value. - With the consumer card, if you spend $15,000 in the first 6 months you get an additional 15,000 points, making it 25,000. - No preset spending limit. You can often spend way more than with a regular credit card. - Balance is due in full every month (they do have an extended payment plan for large purchases). - The Business card has lots of bonus points for big spenders. - Downside: $125 annual fee from the 2nd year. Most people will benefit more from the Starwood, unless you really spend a lot. - One point per dollar spent. You can use 7,500 points to take off up to $100 from any single travel related charge. So, if you rent a car for $90, 7,500 points will take off the $90 charge. If the charge was $140, 7,500 points will knock off $100. If you use this card right and you travel often, you could be getting 1.33% cashback, which is great! - Bottom Line: Up to 1.33% Cashback. 5,000 point signup bonus. If you don't want the annual fee that comes with the Starwood, get this one. - 3% cash back on gas. Only on the first $12,000 spent on gas, after that its 1%. - Besides for being an Amex card, it is a pretty good cash-back card. - Get a $25 American Express gift card each time you have spent $2,500. Basically you are getting 1% cash back on all purchases. - Free credit report and credit score every year. - No late fees, no over-limit fees, no balance transfer fees, no cash advance fees. If you want an Amex card for it's security and features, then there is no need to get any other card, this card is perfect. If you want a better rewards program or a card with a signup bonus, then look at the other cards. - First $6,500 of annual purchases: Receive 1% cash back on gas, supermarkets and drugstores. Receive 0.5% for all other purchases. - Once you have reached $6,500.01 or more during the year: Receive 5% cash back on gas, grocery and drug stores. Receive 1.5% for all other purchases. You will only receive the higher cash back on future purchases, NOT on the first $6,500. - The “year” starts from when you sign up for the card, not the calendar year. Cash back will appear as statement credit at the end of the year! Note: Until you reach $6,500 in spending, better use another card for gas, such as SimplyCash. Or the Chase Freedom Visa Card for supermarkets and drugstores. Business credit cards: To apply for a business credit card, just pick any business name (could even be your own name) and you can put your Social Security number as your Tax ID. Business credit cards have an added benefit: Save 3-25% on business purchases at companies like FedEx, Delta, Hertz and more. Amex has a Platinum card as well, which has more benefits but comes with a steep annual fee. If you don't know which card to get, email me at dealreviews@gmail.com. American Express Buyer's Assurance is one of the many reasons why everyone needs an American Express card! I have successfully used this feature many times. All Amex cards come with Buyer’s Assurance! If your camera breaks a year and a half after you purchased it, don’t throw it out. Call Amex (800-225-3750) and file a claim. Often, they will refund the full purchase amount without even asking you to send in the item. It seems that items under $400 they just refund, and items over $400 they may ask you to send it in or bring it somewhere to estimate damages. They will either cover the cost of repair or refund the full purchase price. Note: If from the repair estimate, it sounds like there was physical damage to the item, Amex will not cover it! If the item breaks after 11 months you might find it worth it to wait a month and call Amex. It is often much easier than trying to get the company to fix the item. Once you have filed a claim, you can click here to check the status. When you buy something new: make sure it has at least a 1 year warranty. Amex will double your warranty up to a year, so if the item comes with a 3 month warranty, Amex will only give you another 3 months. Keep your warranty. If you don’t have the warranty, Amex will try locate it for you, but it might take some time. I once just printed out the warranty from the company’s website and Amex accepted that. Keep your monthly credit card statements. There are other non-Amex credit cards which claim to have this feature as well, but I am sure it’s not as easy to actually file a claim with them. Click here for a list of the best Amex cards. Review: The Gizmo Project – Free US Phone Line Anywhere In The World! Get a totally free US phone line, anywhere in the world, for incoming and outgoing calls! All you need is high-speed internet and a headset. 1. Read the review Grand Central - Free virtual phone line. 3. Forward your Grandcentral number to your Gizmo Project. After you have signed up for Grandcentral and Gizmo Project, go to Grandcentral and add your Gizmo Project SIP Number as a calling number. A. Open your Gizmo Project program, click Edit >My Profile, you will see a box labeled ‘SIP number’ it will look something like this 17477654321@proxy01.sipphone.com, copy the SIP Number, just the digits, excluding the first digit (1), as a Grandcentral forwarding number. 4. Give out your Grandcentral number to anyone in the world, even your grandmother who doesn’t have internet access. Remember, the Grandcentral number can be dialed from any traditional phone. Incoming calls: When someone dials the Grandcentral number, your gizmo on the computer rings! Outgoing calls: If you want to make calls you click to call from your Grandcentral account online. If you are currently out of USA: you will need someone in USA to set up Grandcentral for you, as Grandcentral does not let you register from outside the US. Once you are registered though, you can access the site from anywhere in the world. 1) Buy a USB phone and connect it to the computer. 2) If you have a old Voip box, e.g. Sunrocket, you can connect the Voip box to your gizmo project account. Using a VOIP box will allow you to have a totally free phone line, using a traditional phone and the computer won’t even need to be on to receive phone calls. To read abut this option click here.